Rio Hondo College will partner with the Office of Assembly Majority Leader Ian C. Calderon to host a Cash 4 College financial aid overview and a financial aid application lab on Saturday, Feb. 2 for students and their families, including free assistance with the 2019-20 Free Application for Federal Student Aid (FAFSA) and California Dream Act application. The overview will be offered at 10 a.m. and the lab at 11 a.m. Rio Hondo College is at 3600 Workman Mill Road, Whittier. 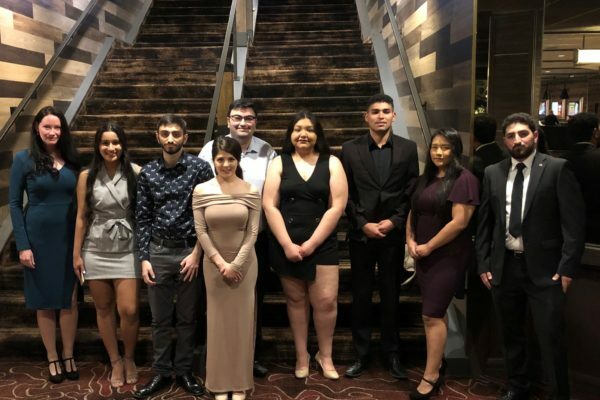 The National Association of Student Personnel Administrators (NASPA) has named Rio Hondo College Vice President of Student Services Henry Gee as one of two recipients of the 2019 Fred Turner Award for Outstanding Service to NASPA. The lifetime achievement award honors a NASPA member who has served in leadership roles at the state, regional, national or international levels of NASPA, and who has been a member for at least 10 years. Gee has served in higher education for 40 years. He has served in his current position for 15 years, in addition to recently taking on the task of interim executive director for the Rio Hondo College Foundation. He will receive the honor at NASPA’s 100th anniversary conference on March 12 in Los Angeles. Rio Hondo College will host about 200 high school counselors from area school districts as well as other local high school officials for its sixth annual Regional Counselor Breakfast at 8 a.m. Friday, Jan. 18. The event, which runs through 11:30 a.m., will be held in the Campus Inn at Rio Hondo College, 3600 Workman Mill Road, Whittier. This year’s breakfast will focus on the College’s vast array of student service programs, which include financial aid support, transfer and honors, and the Center for Career and Re-Entry Services. 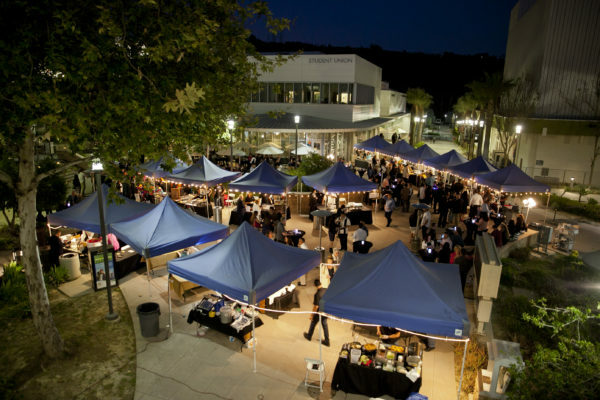 Breakout sessions will offer an in-depth look at Rio Hondo College’s academic programs – the business division, communications and languages, and public safety. Counselors will also receive an update on student success measures and the expanded Rio Promise, which offers two years of free tuition to first-time college students. Rio Hondo College is the first community college in Los Angeles County to make such an offer. Fifty firefighters from across California are hewing their way through structures with axes and chainsaws and carving up cars during an advanced training course this week at Rio Hondo College’s annual Regional Truck Academy. The academy, launched last week, runs through Jan. 18 at the Rio Hondo Fire Training Center, 11400 Greenstone Ave., Santa Fe Springs. Professionals attend a mix of instructional lectures and hands-on exercises, including forcible entry into burning structures, structure ventilation, high-rise operations, elevator rescues, rope rescues, thermal imaging, auto extraction and rapid intervention tactics. Rio Hondo College will host a lunar eclipse viewing party from 6:30 to 10 p.m. Sunday, Jan. 20 for students from Whittier City School District, East Whittier School District and South Whittier School District. The event will begin with a welcome, presentations and lectures. Eclipse viewing will begin at 8 p.m. with peak viewing from 8:45 to about 9:45 p.m. On Jan. 20, the sun’s rays will reflect on the surface of the moon, coloring it red – leading to the name “Blood Moon.” Guests should gather at Parking Lot C at Rio Hondo College, 3600 Workman Mill Road, Whittier. The event will be canceled if there is a heavy cloud cover or rain. 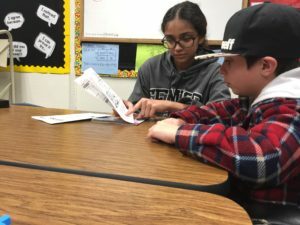 Rio Hondo College has launched a free tutoring program for area public schools in its Adopt-A-School program, providing college students who are studying child development and related fields to assist K-12 students during and after school. 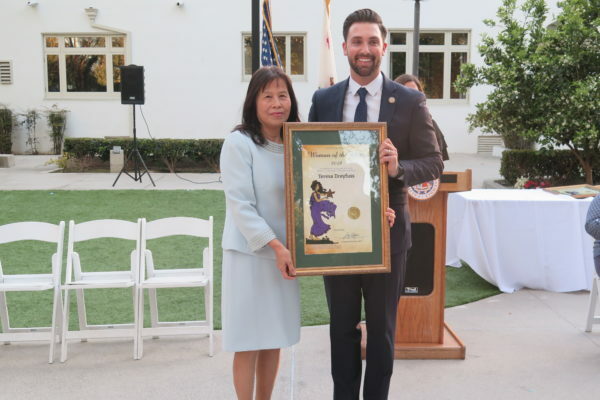 The program was piloted in spring at Scott Avenue Elementary in East Whittier City School District and is now offered there and at Dean Shively Middle School in Valle Lindo Elementary School District. It is expanding to encompass others in the College’s Adopt-A-School program, which has linked the campus to area schools for several years. Rio Hondo College will receive $664,220 in federal dollars over the next four years to remove financial barriers to childcare that can prevent students with children from attending college. 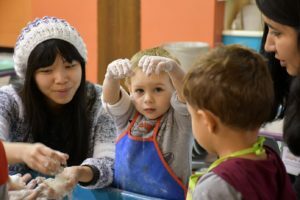 The Child Care Access Means Parents in School grant will provide the College with $166,055 annually to subsidize up to 75 percent of the cost of childcare for parents who are Pell Grant recipients or Pell Grant eligible. 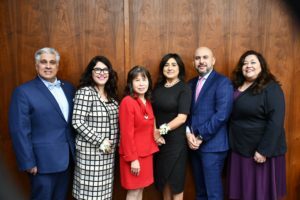 Rio Hondo College’s Board of Trustees held an Oath of Office ceremony for one returning board member and two new members in front of a standing-room-only crowd of guests on Dec. 12 before naming new officers during a subsequent board meeting to lead the board through 2019. Los Angeles County Supervisor Hilda Solis administered the oath to Norma Edith García, who was re-elected Nov. 6. Superior Court Judge Olivia Rosales administered the oath to new member Rosaelva Lomeli and Chair of the Los Angeles County Board of Supervisors Janice Hahn administered the oath to new member Oscar Valladares. Once seated, the board named Trustee Gary Mendez as its new president, Valladares as vice president and Lomeli as clerk. Also serving on the board is Vicky Santana. 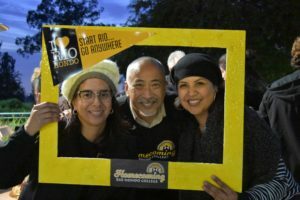 Rio Hondo College voters on Nov. 6 re-elected Norma Edith García and elected Whittier residents Rosaelva Lomeli and Oscar Valladares to serve on the Board of Trustees, according to preliminary election results. 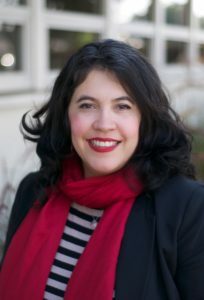 García, who was first elected in 2009, serves Trustee Area 1, which includes the city of El Monte. Lomeli, a science teacher at Suva Intermediate School in Montebello, will serve Trustee Area 3, which includes Whittier and South El Monte. Valladares, a deputy public conservator in the Los Angeles County Department of Mental Health, will serve Trustee Area 5, which includes East Whittier.